It’s time for the winners of our readers’ choice awards to take a bow. Congratulations to all! From chicken to cherries, Christmas emporiums to fruit-pie sweets shops, and small to large convention and visitors bureaus, the state’s offerings continue to amaze meeting planners and attendees alike. 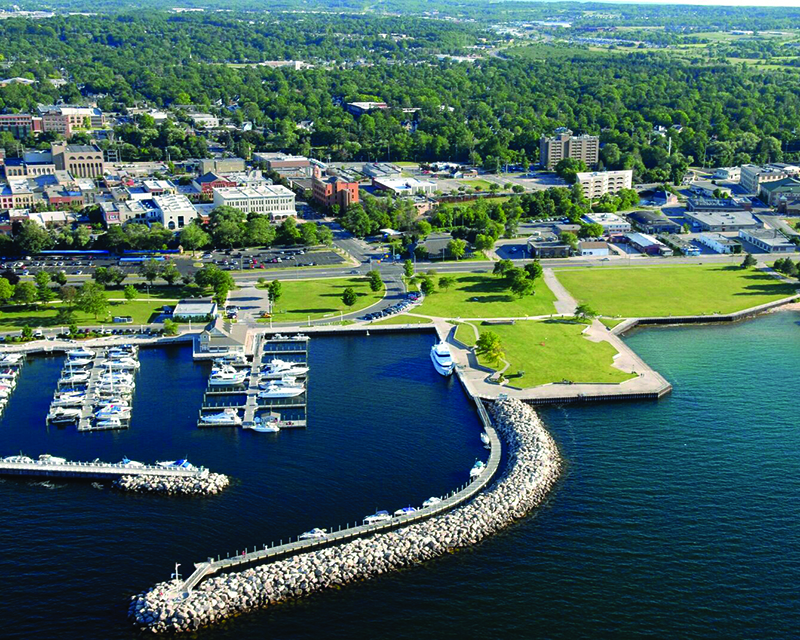 Jenny Jenness, public relations manager for Traverse City Tourism, notes that the surrounding scenery combined with cultural options in this northwest Michigan area may be its No. 1 draw. “This region is a place where culture and landscape shout their dichotomous nature, where lush vineyards roll into striking blue waters, where forested trails meet vibrant downtown districts—that’s a pretty great place. And that’s where you’ll find yourself in Traverse City,” says Jenness, who represents this year’s Best Convention & Visitors Bureau (over 50,000 in Population). This year, visitors may note a newly designed logo for the city and see big changes in marketing efforts, both in print and digitally. Plus, the city looks forward to hosting the 2019 Pure Michigan Governor’s Conference on Tourism. While Frankenmuth—Michigan’s Little Bavaria—has historically been known for renowned chicken dinners and the world’s largest Christmas store, there’s a lot more to this mid-Michigan mecca, reports Christie Bierlein, sales and marketing director of the Frankenmuth Chamber of Commerce and Convention & Visitors Bureau, winner of the Best Convention & Visitors Bureau (under 50,000 in Population) category. From a five-level ropes/zip line course through trees and wine and chocolate tours to kayak rentals on the scenic Cass River, plenty of diversions await. In addition, more than 20 major festivals and events turn this small town into a thriving destination. “Our town becomes alive with thousands of visitors from all over the world enjoying small town moments,” says Bierlein, who adds that while Frankenmuth is one of the smaller CVBs in the state, it has a sophisticated marketing plan that rivals larger cities. When David C. McKnight of Farmington Hills-based Emerald City Designs, Best Event Planner/Event Planning Company, wants to inject fun into his events, it’s all about offering participative options. “We love providing unique activities for guests to partake in,” McKnight says. At any given event, guests might enjoy everything from an on-site caricature artist and photo backdrops with unique props to silent discos, martini lounges and craft beer stations. “Over the last few years, we’ve expanded to serve clients throughout the country and we’re excited to see where this growth takes us for the next decade,” says Events North owner Allison Beers, this year’s Best Meeting Planning Company. The 10-year-old Traverse City company is constantly incorporating elements to engage attendees and get them “out of their seats” to interact with each other, “like getting into a photobooth and updating head shots on-site during breaks, or engaging attendees in a trivia game based on the food and beverage, venue or city that we’re in,” Beers says. Ta-da! It’s all about great music, memorable fare and committed teams that cap a wonderful meeting-and-event experience. These winners—from noteworthy bands to culinary wizards to fantastic florists—put the accent on fabulous! Bluewater of Southfield lives for a good event. From meetings to conferences to multistop tours, there are few things Bluewater enjoys more than setting the stage so meeting planners can succeed. On top of having one of the largest rental and staging inventories in the country, with new equipment added yearly, Bluewater has some of the best technicians in the business—earning it Best Audio-Visual/ Visual Presentation Provider. “I’m consistently impressed by our team’s ability to deliver unique solutions to customer problems, come up with new and unique concepts for experiences, and bring smiles to an audience,” says Scott Schoeneberger, managing partner. “For 2018 we’ve picked up a number of fantastic new customers, expanded our team with some insanely talented contributors and invested into some new elements for our platform,” he adds. Trying to explain the music and sounds of the three-member band, The Accidentals of Traverse City, is like trying to portray how artist Vincent van Gogh created his renowned sunflower paintings—a little of this and a little of that with no attention to current trends, plus lots of emotion, turns out as, well, a masterpiece. The Ann Arbor-based caterer has the great advantage, of course, of calling on Zingerman’s Bakehouse (also a Best of 2018 winner), Coffee Company, Creamery and Candy Manufactury to bring world-class foods to the table. Art Craft Display, Inc. of Lansing is positioned as a vital resource to event organizers and exhibitors alike. It won two Best of awards this year (Best Décor Provider and Best Event Rental Company). “With our 50-plus years of experience and connections in the special-event industry, we can offer services and insights that are a real asset to our clients,” says Barry Freed, president. He notes that fabric and modular displays are among the hottest new trends in the trade show display industry right now. Center says that Black Tie Productions has expanded its “super powers” with new Magic Mirror photobooths and a Retro Wagon, which is a former 1960 traveling trailer converted into a portable retro style-looking photobooth. It’s 100 percent about the clients for the staff at Blumz by JRDesigns, an event planning and floral design company with three full-service locations in Ferndale, Holly and Detroit that takes Best Florist. “We listen to our clients and go out of our way to make sure that we are bringing their vision to life,” says Marketing Director Sadie Quagliotto. Co-owners Jerome Raska and Robbin Yelverton opened their first store in Detroit 17 years ago and have watched their business bloom. Together the owners bring a fun perspective to floral, event planning and design. The two are also internationally respected educators and presenters within their field. It’s known for its chewy-sweet brownies and gingersnaps, famous sour cream coffee cakes, and lovely loaves of Jewish rye, challah, and sourdough. Zingerman’s Bakehouse managing partners Amy Emberling and Frank Carollo recently created the Zingerman’s Bakehouse cookbook (Chronicle Books, named one of Michigan’s Notable Books for 2018) and launched an on-site teaching bakery where recipes are shared, as well as the love of baking, five days a week. A remodeled retail shop to better serve their guests opened in late March. Meanwhile, research continues on local grains and partnering with Michigan and Midwest farmers to grow more grains and wheat for use in baking. Metro Cars’ selection of vehicles includes sedans, stretch limousines and limousine coaches, executive vans, shuttles and luxury motor coaches. With an excellent reputation for safety, style and reliability, this year’s Best Transportation Company also offers uniformed, security-screened and drug-tested chauffeurs, insured vehicles and more. Now that’s riding in style! Oh, to be sipping a small-batch brew with refreshing raspberry flavors, a locally distilled scintillating rum or a fine varietal stemming from regional vineyards! These are the tip of the iceberg in a state whose meeting and event locales make the most of the surrounding Great Lakes beauty, local heritage and an undeniable sense of fun. What’s wowing patrons these days at Short’s Brewing Company in Bellaire? “Hot Loins, our recent release of an aphrodisiac beer, went well,” reports Joe Short, CEO and creative engineer of this year’s Best Craft Brewery/ Brewpub. “Also, our recent collaboration brew with Lagunitas, Not Unofficial, went over really well. And Bucket, our new cider with black currants and oak, has been blowing up. People are loving it. “The brewery also released a 22-ounce bomber—Batch 8000, which is a quadruple raspberry IPA that is having some ‘serious wow factor,’” Short says. From land preservation and clean-water initiatives to trail building and community development, Short is involved. “But I’m a brewer first and foremost,” Short says. In 2018, Short’s expects to produce 48,000 barrels of beer and 5,000 barrels of hard cider. Grand Traverse Distillery, this year’s Best Distillery, is Michigan’s oldest “grain to bottle” craft distillery. It began selling its handcrafted vodkas in 2007. You can’t help but be drawn to the 20-year-old Black Star Farms’ winery, inn and equestrian estate—one of the most bucolic and prettiest destinations in all of northwest Michigan. Located in the heart of Traverse City’s wine country, this year’s Best Intimate Venue features two winery production facilities with tasting rooms on both the Old Mission and Leelanau Wine Trails. 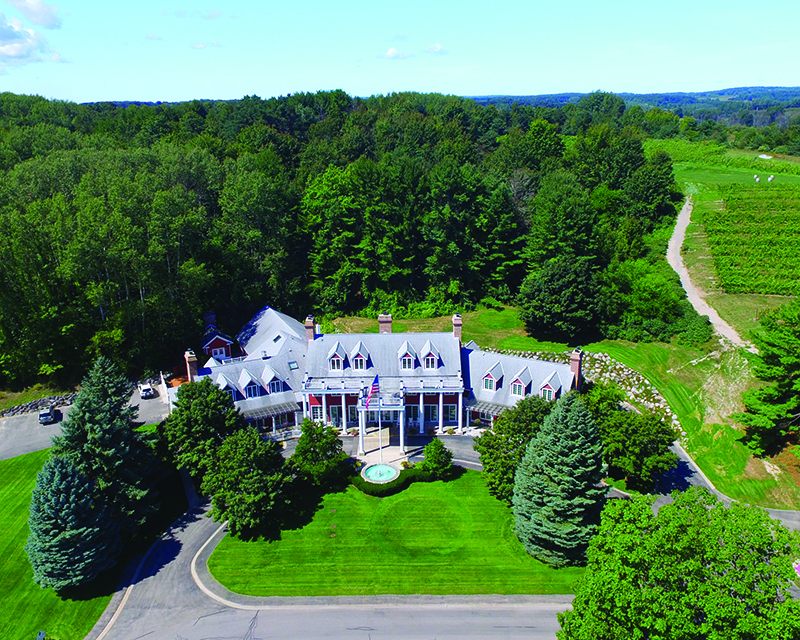 Just 12 miles north along scenic M-22, the largest, and flagship property near Suttons Bay, also includes a luxury inn, event spaces and more. The inn hosts special events and culinary offerings include elegant monthly harvest dinners or casual farmstead fare at the Cafe. Pull up a chair in the new RG Studio, a private event space at the 10-year-old Red Ginger, and you’re sure to be impressed. “That space is our newest private event space that boasts a private balcony overlooking the beautiful Grand Traverse Bay,” says Gwen Stokes, private events coordinator for the popular Traverse City restaurant. The Hotel Indigo Traverse City staff will tell you that their facility rocks with cool everything, but the rooftop views are what people talk about the most. “H&L Social, the open-air rooftop venue atop the hotel, offers breathtaking views of Grand Traverse Bay,” says Sales and Marketing Director Margaret Morse of this year’s Best Rooftop. 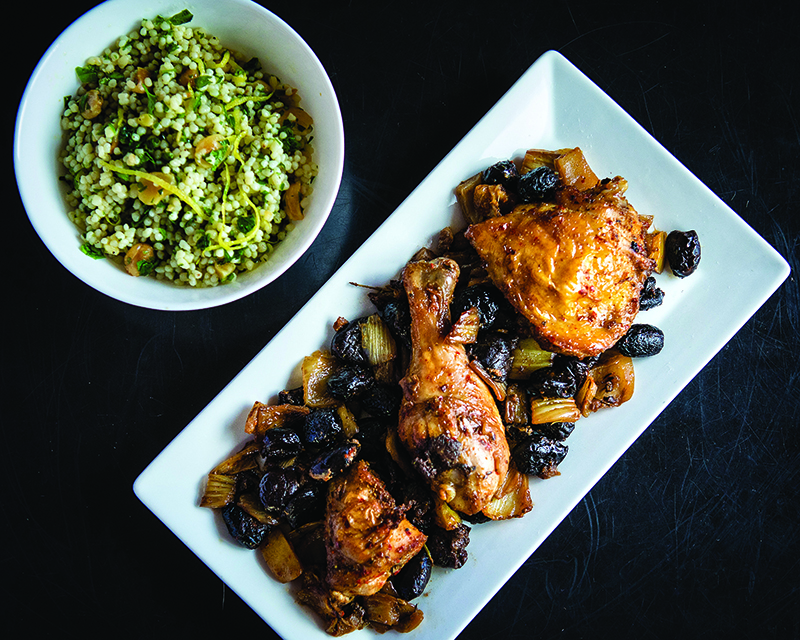 “Relaxed and inviting, H&L Social is the ideal place to sip, savor, relax and be social,” she says of the locale, which is open daily during warmer months with full-service bar and small-plate offerings. Standing among shops, microbreweries and more, the venue reflects the vibrant spirit of the city’s Warehouse District neighborhood near the city’s best beachfront park. Black Star Farms near Traverse City is located on some of the most fertile ground for grape growing in the world. In fact, it’s on the same 45th Parallel that runs through some of the great wine regions of the world. Small, but mighty, could be its motto as the relatively petite parcel of land turns out high-quality varieties. Taking a hand-crafted approach to wine-making that produces classic varietal wines and fruit brandies of high character and balance, this year’s Best Winery showcases how cool-climate grape varieties can be successfully grown to produce world-class wines. Fruit is sourced from the proprietor’s vineyards and those of local grower partners on the Old Mission and Leelanau peninsulas. 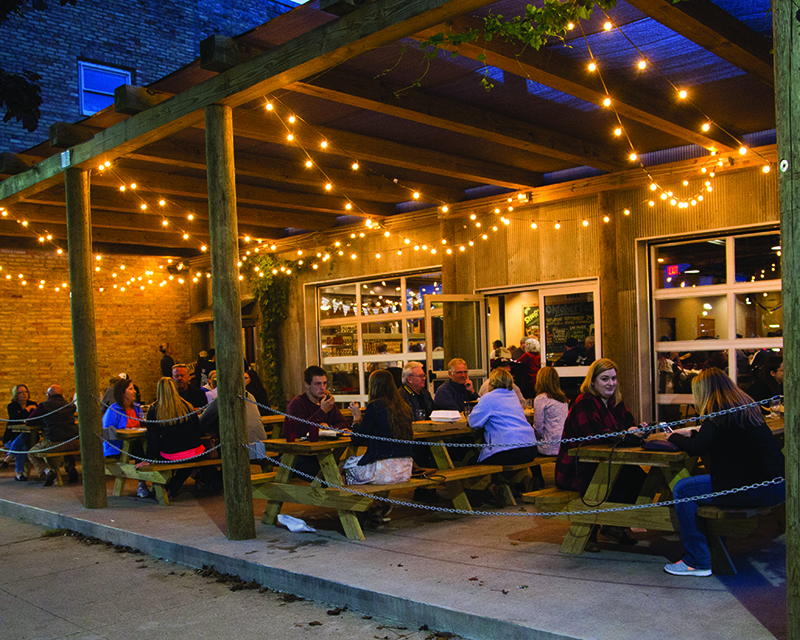 A perfect addition to any meeting or conference, a stop at the facility’s original tasting room, 14 miles north of Traverse City on Leelanau Peninsula, is a must-do. Whether it’s a post-meeting slopeside afternoon, a let’s-try-our-casino-luck diversion, chilling amid breathtaking views, or teeing up at a masterpiece course (with business discussions sprinkled in periodically, of course), these go-big venues present whatever may be your heart’s desire. New is its Topgolf Swing Suite, an indoor venue that features lounge seating, HDTVs, food and drinks, arcade games, and three golf simulators that can be rented for interactive social gatherings. “The experience is designed for both golfers and nongolfers alike,” Williams says. In addition to its fine aesthetics, many entertaining offerings and service awards, MGM Grand Detroit is super proud of its sustainability efforts. All guest rooms, for example, have LED lighting. The company also gives back to Detroit and the state of Michigan in various ways. For example, more than 70 percent of the team members participated in the 2017 MGM Resorts Foundation giving program. That’s winning stuff! “Our daily motto is ‘Deliver Outstanding Spartan Experiences!’” says Kristina Reitler, director of sales at the Kellogg Hotel & Conference Center at Michigan State University. And that they do at this green-andwhite East Lansing facility that boasts 35,000- plus square feet of meeting space, making it this year’s Best College/University Venue. The facility, which originally opened its doors in 1951 and which trains and educates about 350 students per year, helps empower future leaders in the hospitality industry. It’s part of the Spartan Hospitality Group at MSU. “From our Forest Akers Golf Courses to the MSU Tennis Center to basketball games at the Breslin Center and fine dining in the State Room Restaurant (at the Kellogg Center), we have it all covered,” Reitler says. The center hosts more than 400,000 visitors a year for seminars, conferences, meetings and other events. Did you know that Cobo Center is the 17th largest convention center in the nation and boasts 1.4 million attendees a year? Yes, with 723,000 square feet of contiguous exhibition space and a 40,000-square-foot ballroom overlooking the captivating Detroit River and Windsor, Ontario, it’s a behemoth of a venue and this year’s Best Convention Center. The facility recently added two lactation stations and plans to expand its sustainability program with a hydroponic greenhouse. Event attendees who like to mix a little tech with their tee time will enjoy the complimentary Bushnell laser rangefinder to help golfers determine distances to hole locations, hazards and landing areas. Last year, the resort added a dual USB port in our golf carts so golfers can charge their devices while playing. The Amway Grand, a member of Historic Hotels of America, goes back to 1913 when the Pantlind Hotel, now the Amway, was built. Guests can still marvel at original Pantlind appeal on the Pantlind side of the hotel, including its gorgeous historic ambiance. There are 626 rooms ranging from contemporary to traditional in styling. 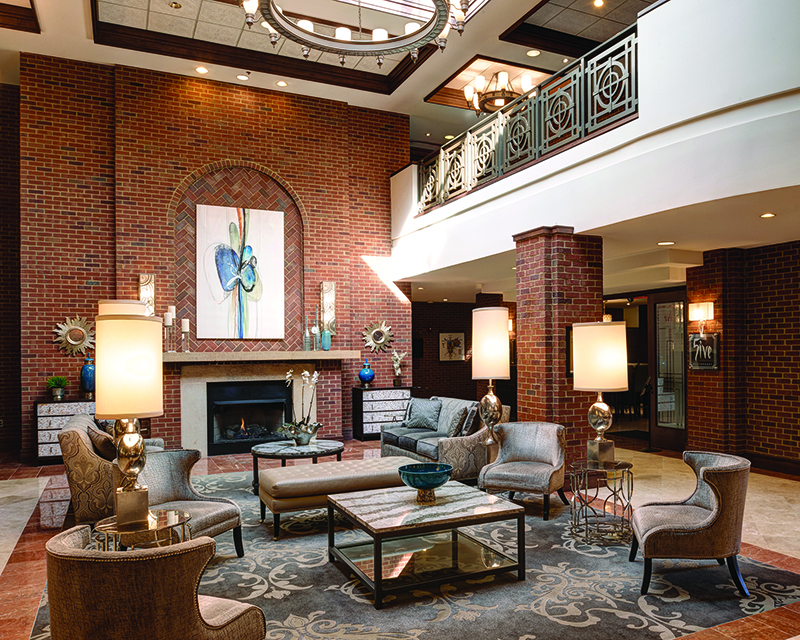 The Inn at St. John’s in Plymouth—this year’s Best Hotel with Meeting/Event Space (Less than 200 Guest Rooms)—recently partnered with Forbes Travel Guide to assist with staff training. “We have a really great asset in our associates; it’s important to continue to invest in their futures as hospitality professionals,” explains Managing Director Paul Wegert. The jewel in Detroit’s entertainment crown, Fox Theatre is this year’s Best Meeting/Event Venue in the Detroit Metro Area. The historic theater, which opened in 1928, is a reminder of Detroit’s rich past while the venue’s turnkey nature demonstrates its modern versatility. The theater hosts hundreds of events, both public and private, each year. After a $12 million restoration of the building took place, the theater was declared a National Historical Landmark in 1989 and in 2006 a tower sign on the theater’s roof, which includes a computer-controlled LED light system, was dedicated. Recent updates to the theater include a renovation to the marquee, which now has LED lights and video screens, providing planners with additional digital branding options. Frederik Meijer Gardens & Sculpture Park in Grand Rapids Township features a 158-acre main campus, showcasing internationally acclaimed sculptures and themed gardens. It’s a Pure Michigan meeting nirvana and is this year’s Best Meeting/Event Venue outside Detroit Metro Area. “Our team of award-winning event planners helps guide an event from conception to booking to making sure that everything is handled on the day of the event while attendees are surrounded by a world-class sculpture collection and horticulture display gardens,” says John VanderHaagen, the facility’s public relations manager. The complex, which has 137,545 square feet of meeting and event space and can accommodate up to 1,800 people, offers quality catering and bar services, wireless internet, A/V equipment with in-house certified tech specialists, on-site dedicated event coordinators and free parking. Currently, the facility is undergoing a $115 million expansion project that’s sure to elevate the guest experience to new heights. Work is ongoing and expected to be completed in 2021. The Detroit Foundation Hotel, across from Cobo Center, was built in 1929 and was the original Detroit Fire Department headquarters. Today after a total of about $25 million in renovations, it’s a beautifully restored boutique hotel with stunning elements and intriguing décor from floor to ceiling—making it this year’s Best New Venue. “This hotel has been an incredibly rewarding project for our entire team. The city of Detroit is so ready for more venues like ours and we are thrilled that we have played such an integral part of the revitalization of the city. We have collaborated with many amazing local individuals to fill our retail shelves, stock our bar, outfit our staff and decorate our walls, and that has been one of the most exciting parts of this project,” says Emily Childers, director of sales for the hotel. As for dining, guests are in good hands at The Apparatus Room, which is home to executive chef Thomas Lents, the first Michelinstarred chef in Detroit. “One of the best benefits of being closed for the winter is that there is an opportunity to make improvements without inconveniencing guests,” says hotel guru Ken Hayward, referring to work the Grand Hotel does continually during its off-season months, helping it win Best Renovation. Hayward, the renowned Mackinac Island hotel’s managing director, reports that for the 2018 season, guests will be pleasantly surprised by the new wallpaper that has been added to the guest room hallways below the chair rail. “The lattice wallpaper adds a lot to the hotel experience and makes guests realize they are someplace special,” says Hayward. In the past several months, construction crews also worked on renovating the iconic front porch of the hotel (the porch is original to the hotel, built in 1887), built a new restaurant (Grand Sushi, the hotel’s first sushi restaurant) updated guest bathrooms, restored furniture and more. And the reports are in on the new Cupola Suites, located at the east end of the fourth floor. The verdict? Tops! The late George Petritz, among the original founders of Buck Hills and owner/president of Crystal Mountain in Thompsonville, used to say: “Each guest should be treated as though they were a guest in your own home.” That sentiment endures, and is validated in the resort’s win of the Best Service (Meeting/Event Venue) category. “Our staff and management go to great lengths to best tailor an experience to guests’ needs, whether it’s a simple request regarding their room or something more complex, such as the logistics of a conference for 200-300 people,” says Brian Lawson, public relations manager. An $11 million expansion to the Inn at the Mountain was finished this past December. When you stand at the top of Buck at night looking at the twinkling lights of the village, in a way it feels like you’ve been transported to a ski town out west, says Lawson of Crystal Mountain. And it’s not just downhill skiing and snowboarding that draw folks to this year’s Best Ski Resort during winter months, but also surrey rides, ice skating, bonfires and snowshoeing. And here’s a fun tidbit to use at your next The Inn at St. John’s meeting icebreaker. “Under ideal conditions, Crystal Mountain’s snowmaking system can cover the entire mountain in one foot of snow in 45 hours,” Lawson shares. Crystal Mountain was originally established in 1956 as Buck Hills Ski Area featuring three downhill trails, a rope tow fashioned from an old pick-up truck engine and a warming hut. Today, it has 58 downhill trails, three terrain parks, six chairlifts and two magic carpet lifts. Little Caesars Arena in the rapidly expanding District Detroit area downtown, this year’s Best Sports Venue, is reinventing the traditional arena model. The arena, which is designed so that its concourses and associated guest amenities are an active participant in the day-to-day experience, includes storefronts facing its interior concourse as well as the exterior district fabric. It’s one of the hottest venues in the Motor City. The complex features a first-of-its-kind, deconstructed design to bring traditional concourse amenities outdoors through the Via. The Via, an ETFE-covered concourse, acts as a retail galleria, but also houses offices, restaurants, retail stores and amenities that are available to the public. The Via is also an ideal space for hosting private events. In the Via’s Heritage Hall, stories of NHL Detroit Red Wings, NBA Pistons and local entertainment icons are celebrated through artifact and interactive exhibits. Heritage Hall is not yet open to the public, but will provide another optimal space for private event groups. These awesome winners should take a bow—not once, but many times! Congrats! Congratulations to the finalists for Michigan Meetings + Events Best of 2019 readers' choice awards. 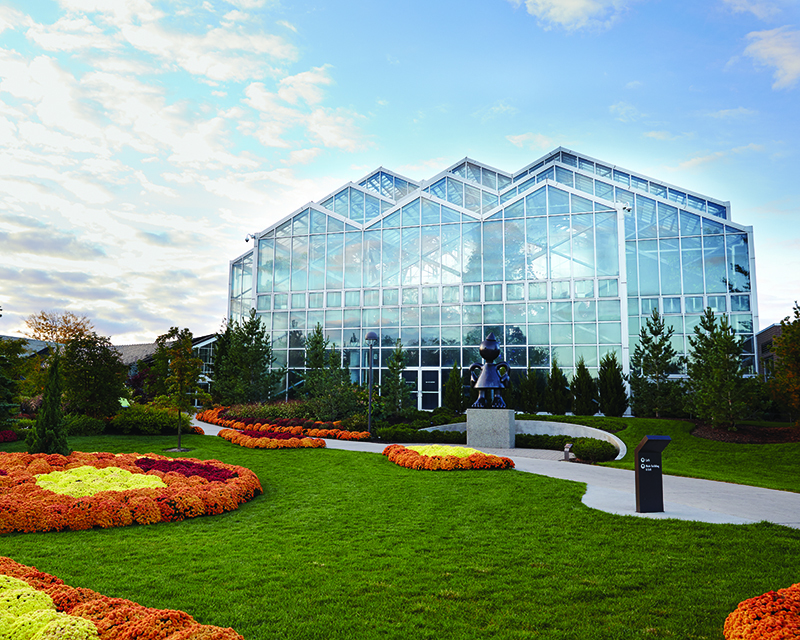 We look forward to celebrating with each of you at the awards celebration on Wednesday, May 22 at the Fredrick Meijer Gardens, where the winners and 2019 Hall of Fame inductees will be announced.